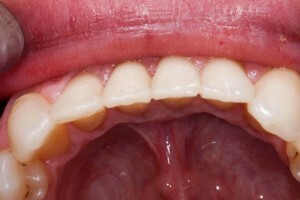 This patient wanted to have straight teeth in less than 9 months. 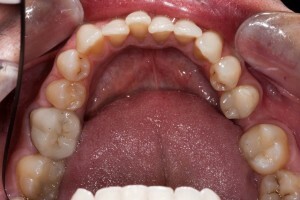 He wanted an appliance that could be removed and inserted as easily as a retainer. 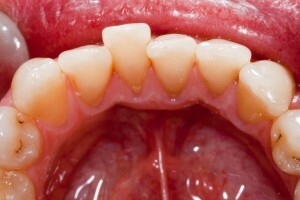 For this reason we decided upon the Inman Aligner. 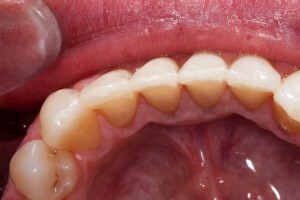 The spring action of the appliance gently guided the teeth to an ideal position quickly and effectively in a matter of weeks. 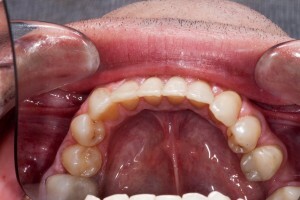 The patient was absolutely delighted with the result. 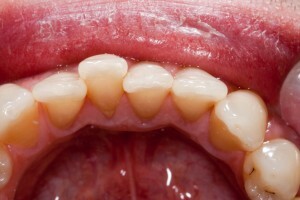 This entry was posted in Cosmetic, Orthodontics on 18 June 2012 by Dr Nishan Dixit.